Why Is It Difficult To Obtain Life Insurance With Huntington’s Disease? People with Huntington’s Disease have a hard time finding affordable burial insurance or life insurance. Why? Huntington’s Disease is an inherited condition marked by a break down of healthy brain nerve cells. As you can imagine, this degeneration leads to all sorts of problems including, but not limited to dementia, mental disorders, slurred speech, and physical ailments. The life expectancy of someone with Huntington’s Disease is around age 60. Life insurance carriers don’t like that. This is why a traditional life insurance application (particularly, term life insurance) is always a decline for someone with Huntington’s Disease. You will likely, unfortunately, die within the term of the policy. Nothing is certain, but the probability is much greater. The reason why, in layman’s term, is the term life insurance carrier covers you for unexpected death. Sure, we all will die, however, term life insurance is best for IF we die, not WHEN we will die. However, as we mentioned, people with Huntington’s disease can obtain life insurance and burial insurance for that matter. Next, we discuss the burial insurance and life insurance options for someone with Huntington’s Disease. We aren’t going to talk about the condition in more detail or treatment plans like other websites. You already know that stuff and came here for some life insurance answers. Here we go. This question is essentially a “knockout” question. If you answer “yes”, you are likely “knocked out” (not literally) from the application. Your application is probably a decline. 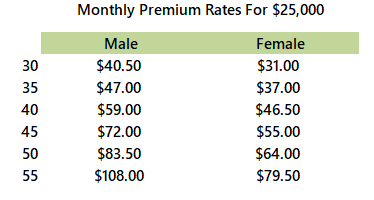 How do you get around this with affordable term life insurance? Really, the only way is through your employer if you work. If your employer has group term life insurance, you need to enroll in that at the maximum guaranteed death benefit. Chances are, your group term life insurance is convertible to a permanent plan. Most group life insurance plans are. In other words, when you leave your job, you can take your life insurance with you by converting the term policy into a permanent plan like whole life insurance or universal life. Isn’t all permanent life insurance bad, John, you ask? We aren’t fans of permanent life insurance, but it does have its place. Like, in this case. You need life insurance, right? Permanent life insurance like whole life insurance is bad only if it doesn’t fit your situation. We mentioned before that Huntington’s Disease is inherited. There is a great chance that your children could develop the condition as well. If you answer “yes”, your application is usually suspended until you take the genetic test to see if you have it. Some carriers will decline all together, but they usually wait. If you obviously test positive then your application will be declined. In your case, too, as a child of a parent with Huntington’s, you will want to load up on group term life insurance as much as you can. If that is the case, we still have an option for you. Not the greatest, but an option. Remember that term life insurance carriers will automatically decline people with Huntington’s Disease. The reason is because of risk and the unknown when the condition will take its toll. In order to mitigate its risk, carriers usually add a rating to the premium. You’ll pay a higher amount for the same death benefit as someone who does not have a condition. The problem is that term life insurance carriers automatically decline coverage because of the unknown of Huntington’s. That isn’t necessarily the case with permanent life insurance. With a permanent life insurance plan, your death (healthy or not) is factored in. The carrier already knows that, as long as you pay your premium, it will pay a death benefit to your beneficiaries. One problem is again the unknown of the disease. So, a carrier isn’t going to traditionally cover you because you could develop symptoms next month. The key word here is “traditional”. There is one type of life insurance that will cover you. It is guaranteed-issue life insurance. It is not perfect. However, the insurance will cover you for things like burial expenses, which makes it a good fit for people with Huntington’s disease. This is why we suggest burial insurance for people with Huntington’s Disease. We get into the specifics of burial insurance for people with Huntington’s Disease next. As we mentioned, guaranteed issue life insurance is really the only solution. True, we wrote that there are better options for burial insurance other than guaranteed issue life. However, this really is your best option. The most you can purchase it up to $25,000 on one life insurance policy. This makes it a nice burial insurance option for people with Huntington’s disease. If you want more life insurance, you can purchase more. The application is very easy to fill out. There are no health questions. In fact, there are usually a couple of administrative questions only. You fill it out. Sign it. And, voilà, you have life insurance. Since no health questions are asked, guaranteed issue life insurance is more expensive. Additionally, because the carrier can’t assess your health through the underwriting process, they install a “waiting period” on the death benefit. What does this mean? It means that if you were to die by illness, sickness, or other natural causes, within the first 2 years of the effective date (register or start date) of the policy, your beneficiaries will receive the premiums paid + interest. After 2 years, the death benefit is paid in full. At any point, the carrier pays the death benefit if death is by an accident or accidental means. Again, not perfect, but you will have life insurance. Well, John. Thanks for the information, you say. But I think I am going to pass. You can pass. We aren’t like other agencies and going to try to convince you why you need to protect your family. If you have convertible life insurance through an employer, that is great. You probably don’t need the guaranteed-issue life insurance. However, if you don’t have anything, why would you put your loved ones at risk? A $25,000, leveraged, can help a great deal. We will talk about costs next. Maybe that will change your opinion. As we discussed, outside of your employer group plan, the only solution for life insurance is a guaranteed life insurance plan. John, that is going to cost an arm and a leg. Well, not necessarily. One plan we work with is very affordable compared to other carriers. Moreover, they insure at a young age (0, if needed). 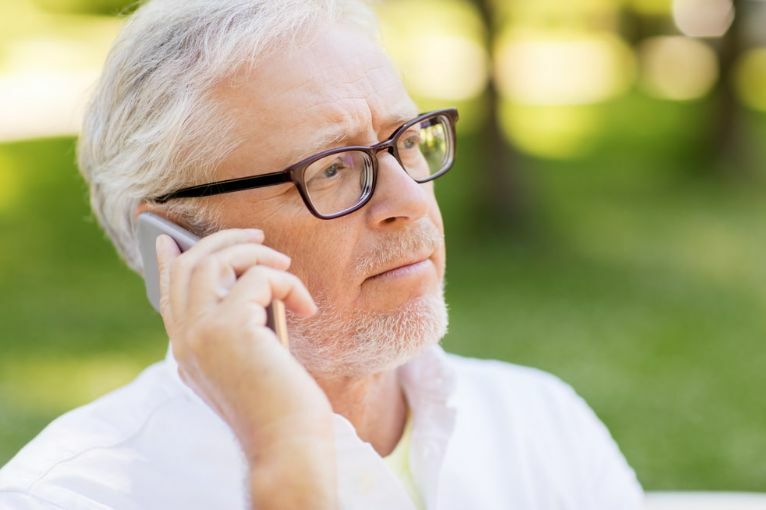 Other carriers insure at age 45 minimum. Age is one of the underwriting factors. So, the younger you are, the more affordable the policy will be. And, if you think you can simply “invest” the premiums and come out ahead, you really can’t. People have mistakenly assumed that for years. Note: with guaranteed issue life insurance, sometimes the product is not available in all states. Contact us to check if it is available in your state. We hope you now understand your life insurance options. Guaranteed issue life insurance is an affordable burial insurance solution for people with Huntington’s Disease. As we discussed, you really want to purchase it as soon as you are diagnosed. Need assistance? Have questions? That is what we are here for. As with anything we do, we always have your best interests first and foremost. Contact us or use the form below. We would be very happy to help you with the life insurance you need and give you and your family peace-of-mind.